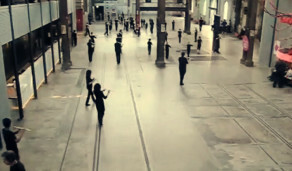 Watch: Super Critical Mass on sound, design and CUSP. 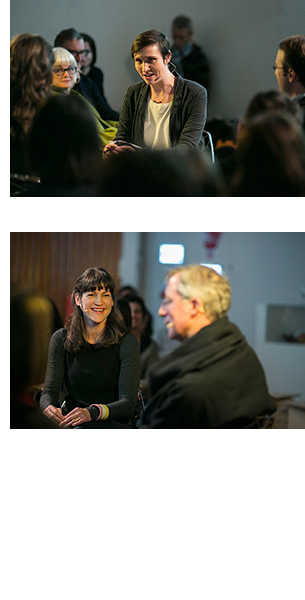 On 9 July 2013, Fenella Kernebone, host of Radio National’s By Design program, facilitated a panel discussion featuring CUSP designer Leah Heiss, as well as Design + Industry Director Anthony Honeyfield and Dr John Cartmill, Professor of Surgery at the Australian School of Advanced Medicine. Listen below to the full recording of the four talk on the topic of ‘Can design humanise medical technologies?’ Or if you prefer, you can always download the audio to listen to at your leisure! You can also download for free from the CUSP collection via Object on iTunes U.
Don’t miss the next Designer Bodies talk, Data Makes Me *#$! ?, on 13 August at Object Gallery. This full recording is provided courtesy of the ABC, who previously broadcast part of the discussion on By Design. All photos by Jamie Williams.